A Wimbledon couple brought their community together on October 13 at a dance-themed auction, designed to generate funds for the new “CAR-T” leukaemia therapy. 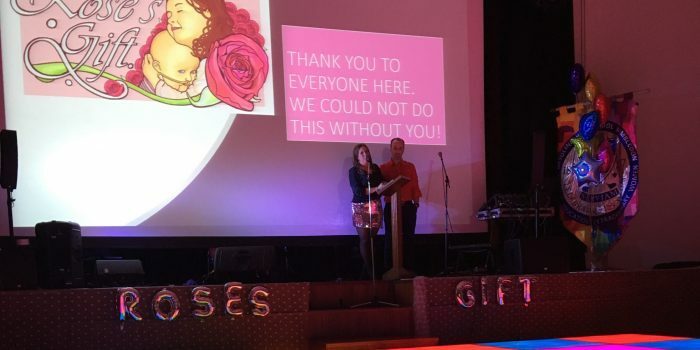 Alison and Eoin Kelly, both teachers, have been holding events similar to “Get Up and Boogie” since 2009, when they started the community association “Rose’s Gift”. Named after their daughter Rose, a survivor of Infant ALL (Acute Lymphoblastic Leukaemia), the organisation has raised over £200,000 for several charities that combat child cancer, including the Great Ormond Street Hospital Children’s Charity, Children with Cancer UK and Momentum. The Kellys believe the development of new types of treatment, such as the “CAR-T” therapy, is vital for improving the chances of babies diagnosed with this aggressive disease. “It is with immense pride that we raised £27,500 which we donated directly to this research. Our main reason is of course to help to reach the common aim of finding gentler, more targeted and less harmful treatments for leukaemia and other cancers and greater survival rates,” said Mrs Kelly.